This is the last we hear of Percy Jackson, the brave hero, and the seven demigods that answer the call. Leo, Annabeth, Percy, Frank, Hazel, Jason, Piper and Coach Hedge go on a hair-raising adventure. 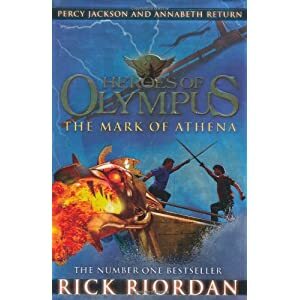 Annabeth is enclosed in trouble of her own - her godly parent wants her to avenge the Romans, and find the mark of Athena. Eidolons take over the boys, and Gaia rises bit by bit. Can the demigod world be righted?